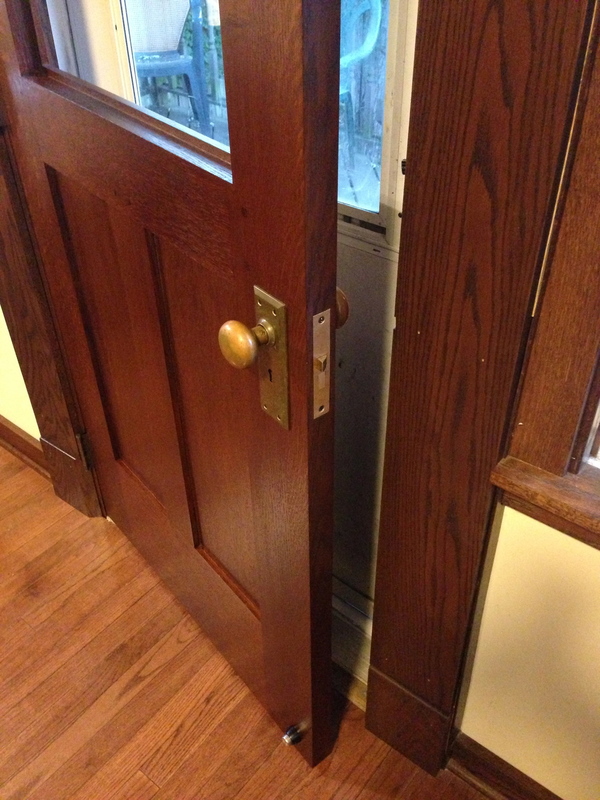 Exterior kitchen door, built Sept-October 2013. 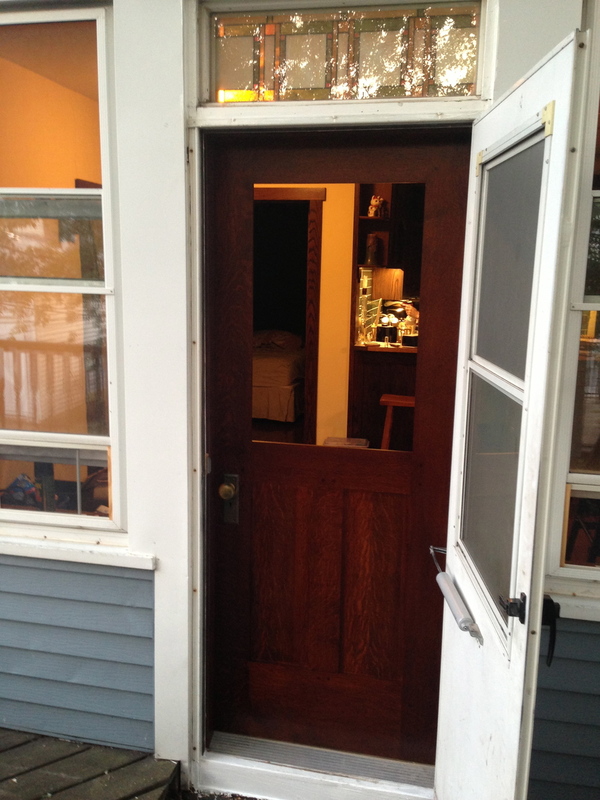 This was a replacement for an ugly home center prehung steel & foam door. 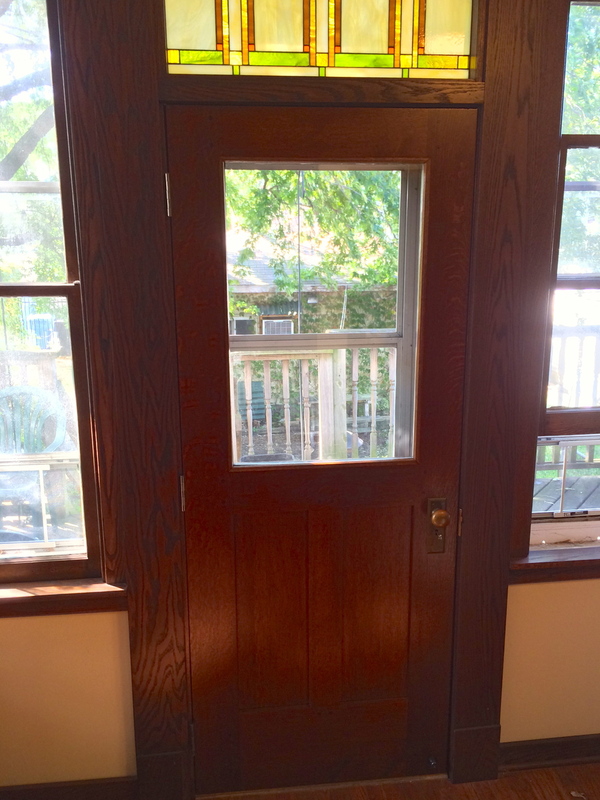 This door is quarter sawn white oak, hand cut mortise & tenon joinery, with drawbored pegs, and an insulated & tempered glass lite. 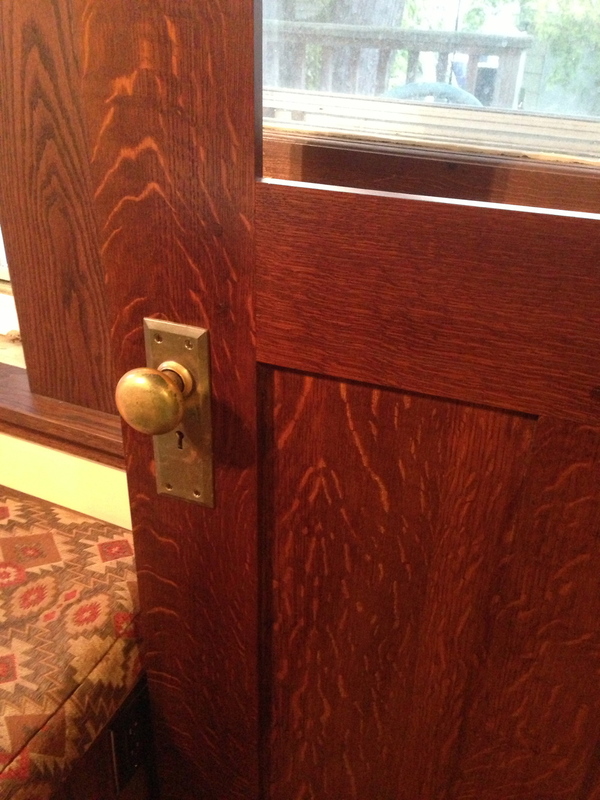 The door was fitted with a vintage Sargent mortise lockset, and modern hinges. 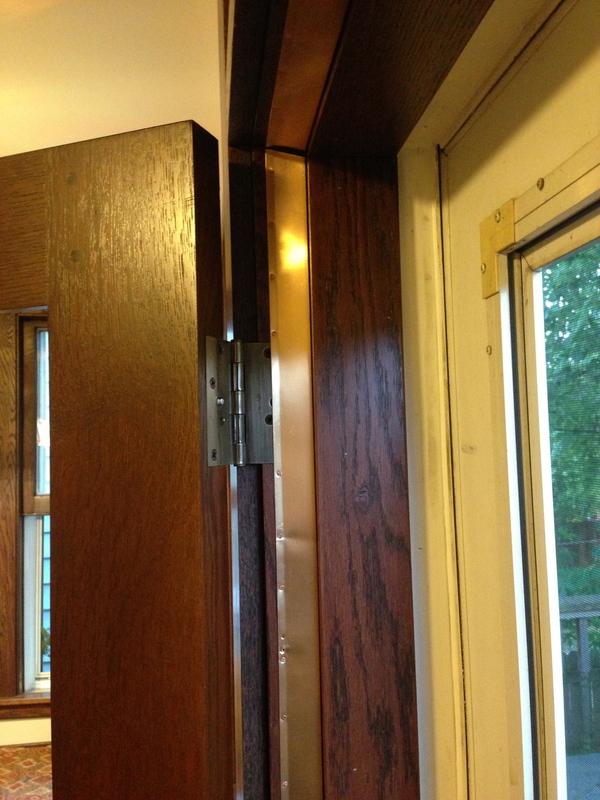 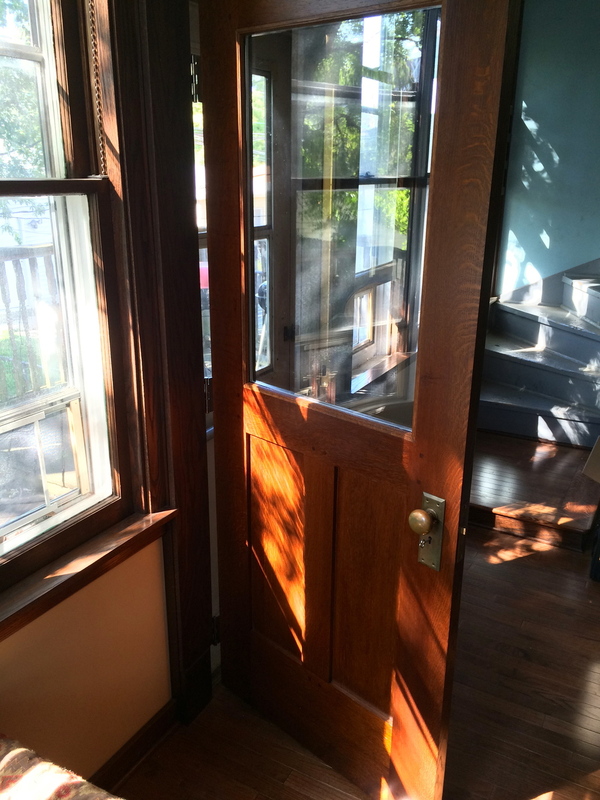 The door frame was rebuilt with red oak that matched the kitchen trim, and insulated with brass spring strip insulation.